Shop at Amazon and support CCC! 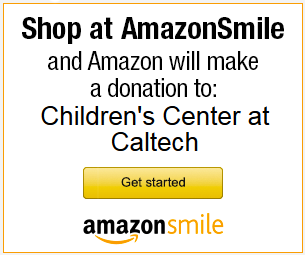 Shop at Amazon and help earn money for the Children’s Center at Caltech!!! When you purchase anything online from Amazon by using this unique CCC link: www.supportccc.org approximately 6% to 10% of your purchase will return to CCC. Please share this website with others. This entry was posted in Fund Raising and tagged Bunnies on December 21, 2012 by silvia.